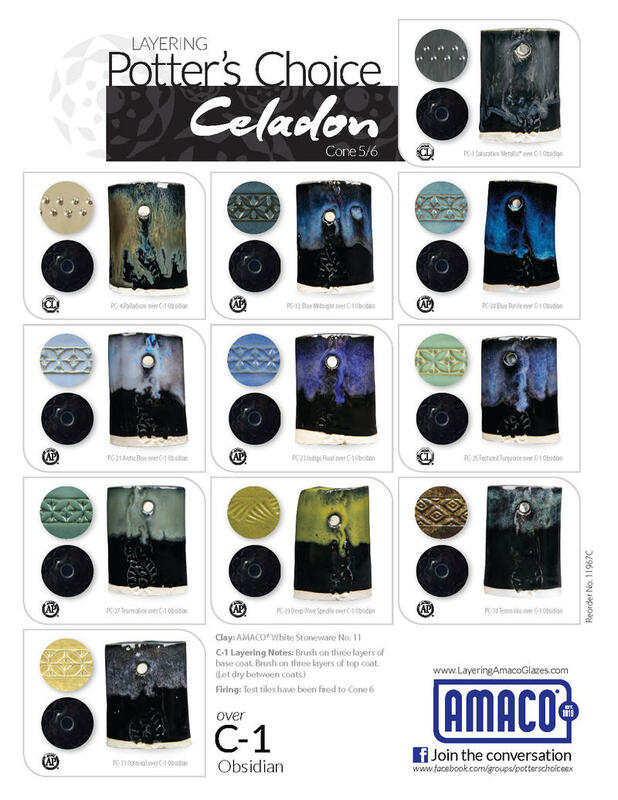 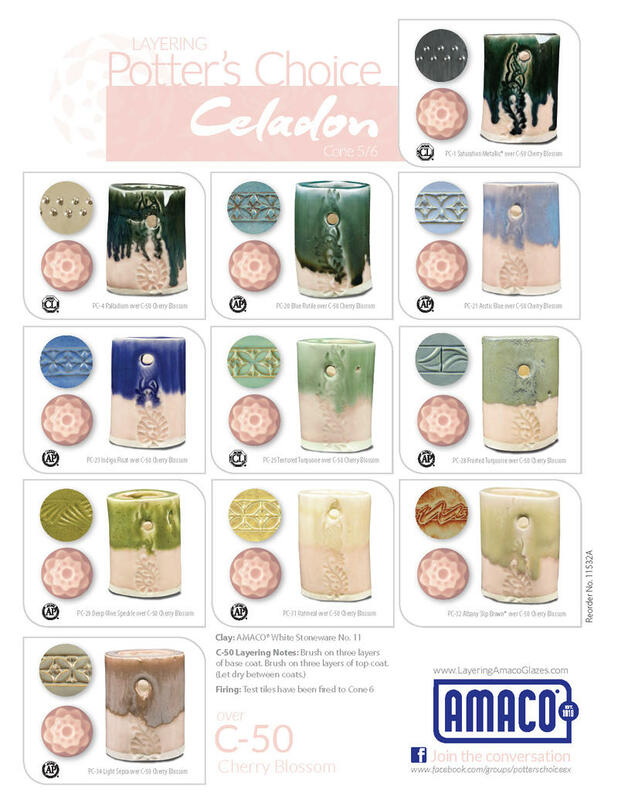 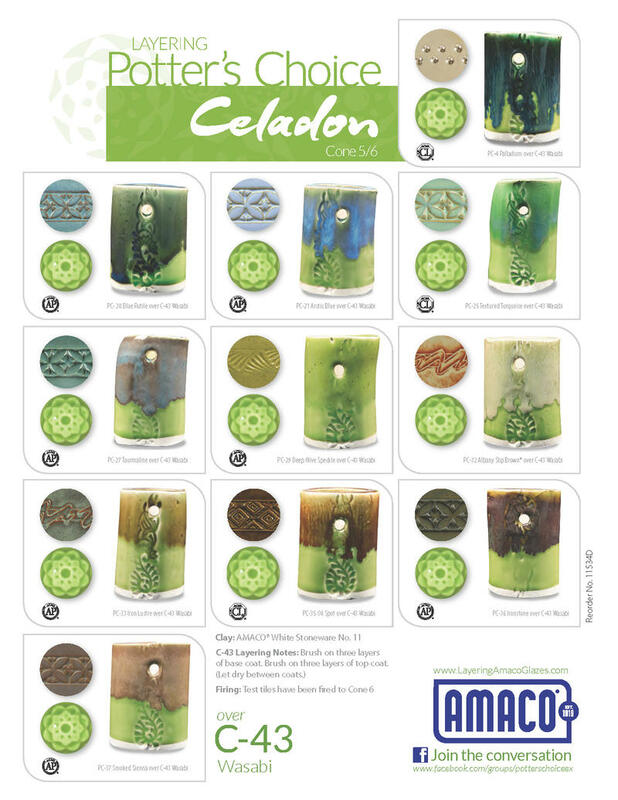 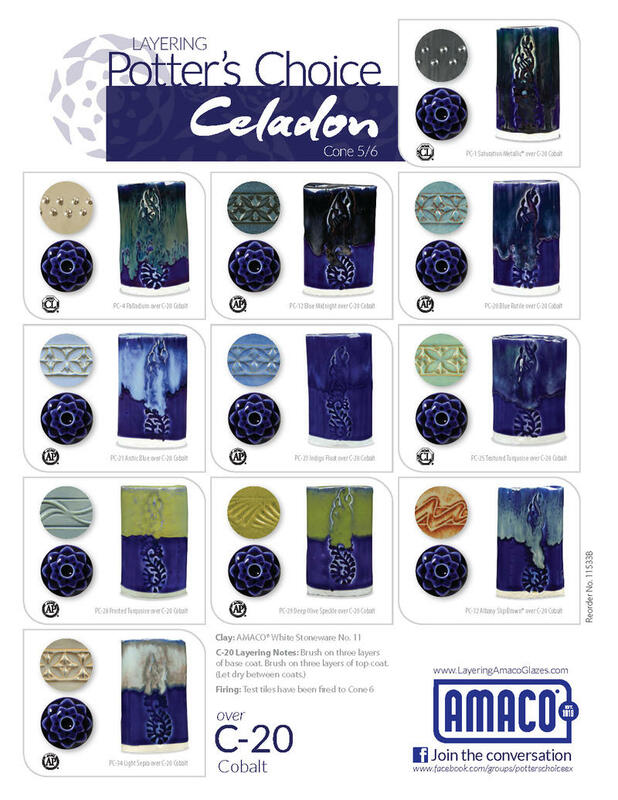 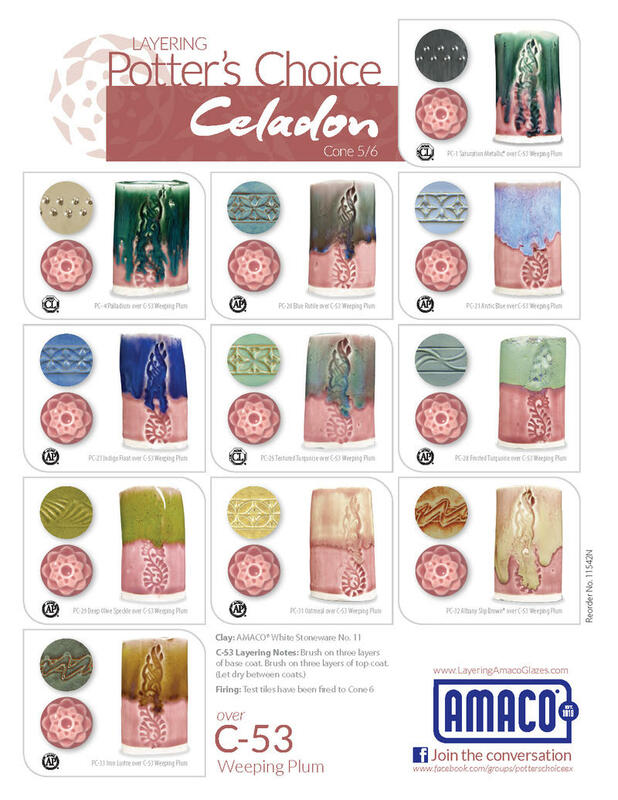 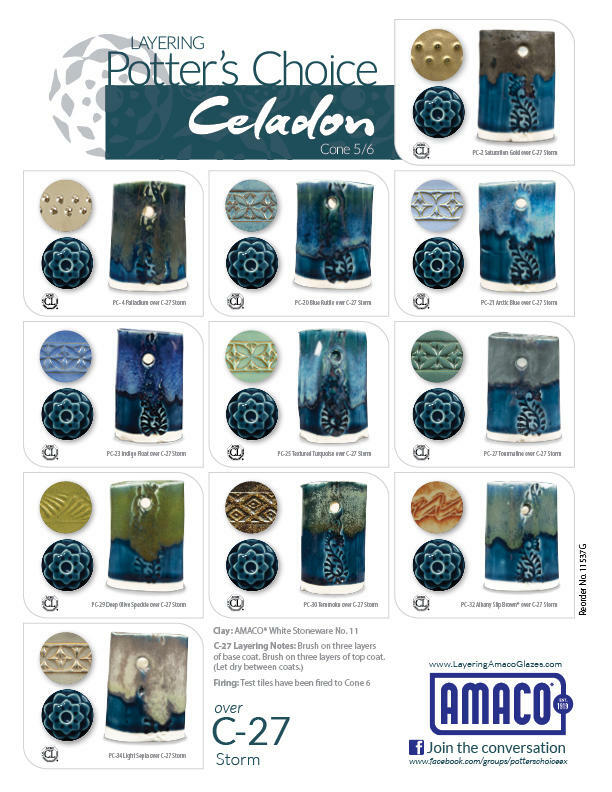 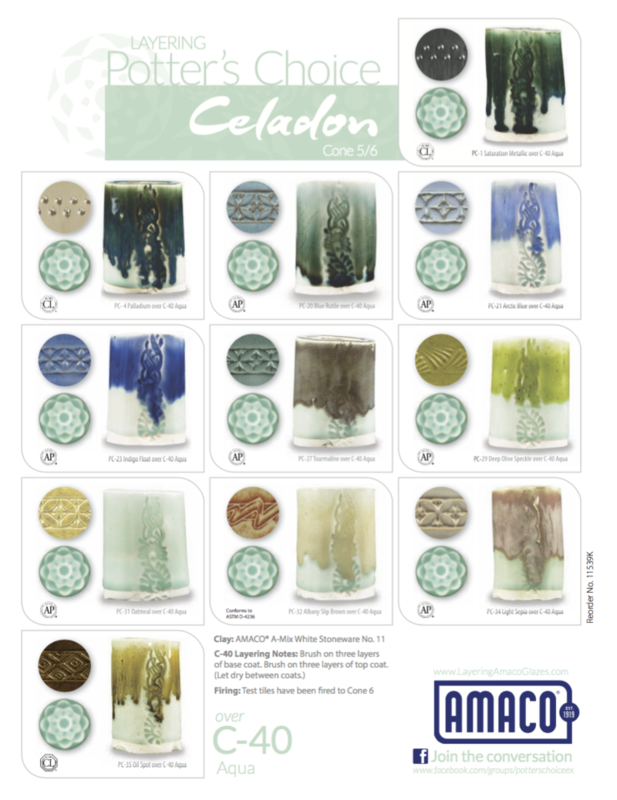 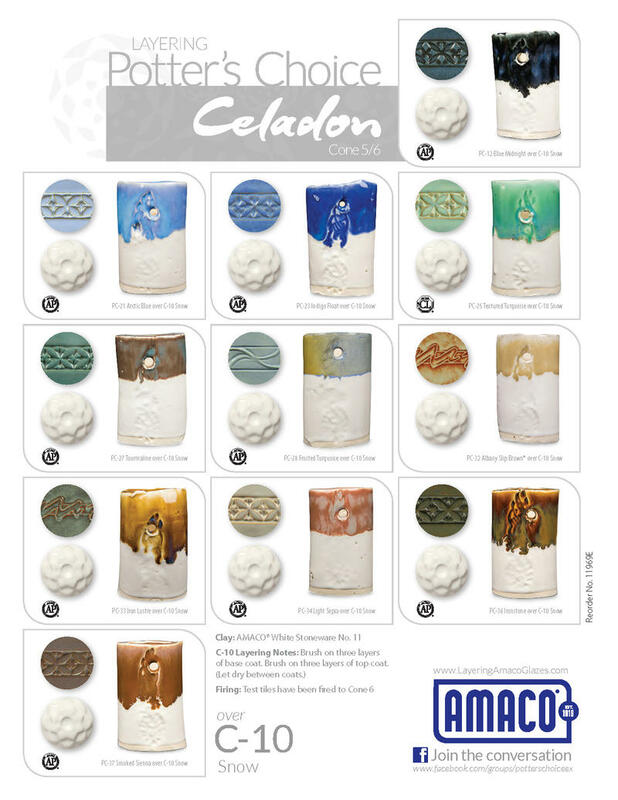 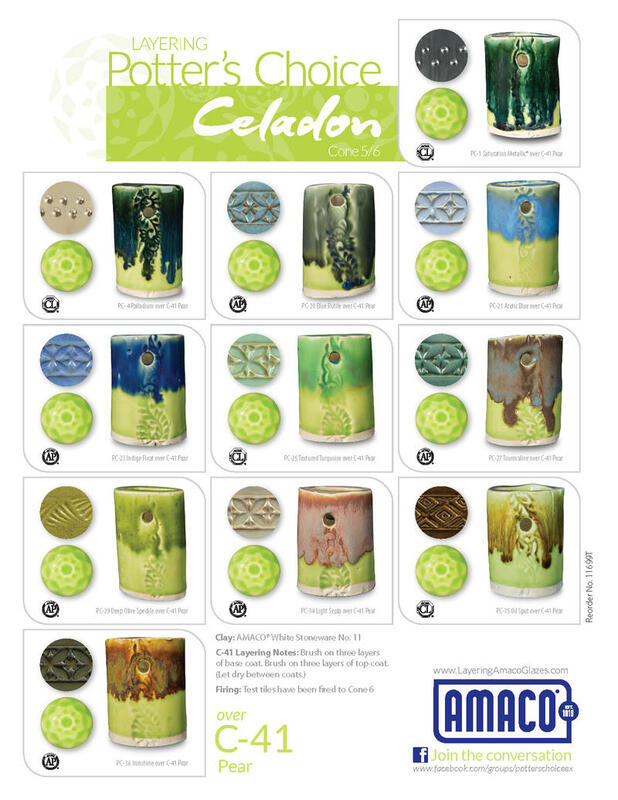 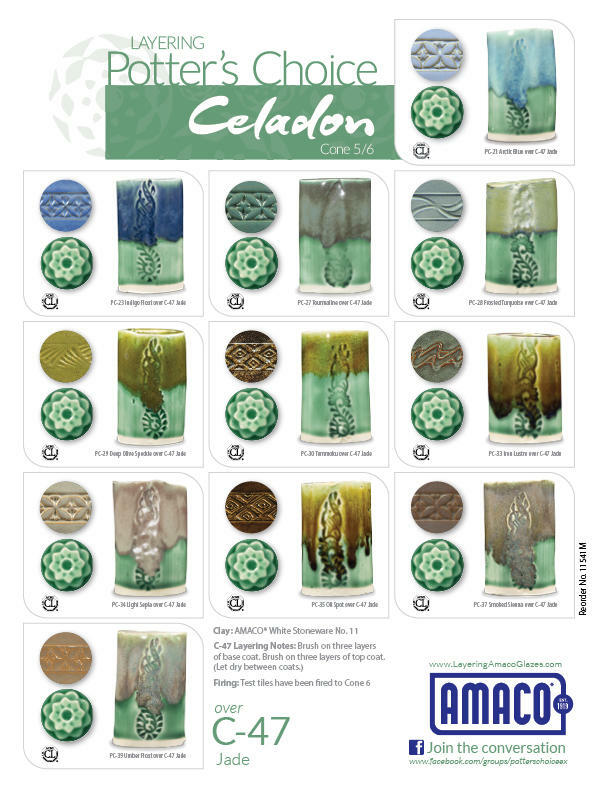 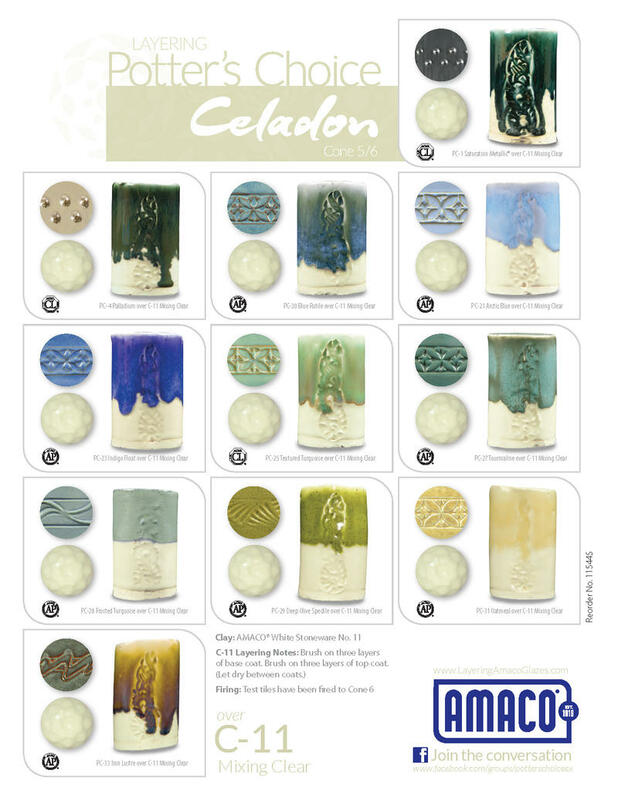 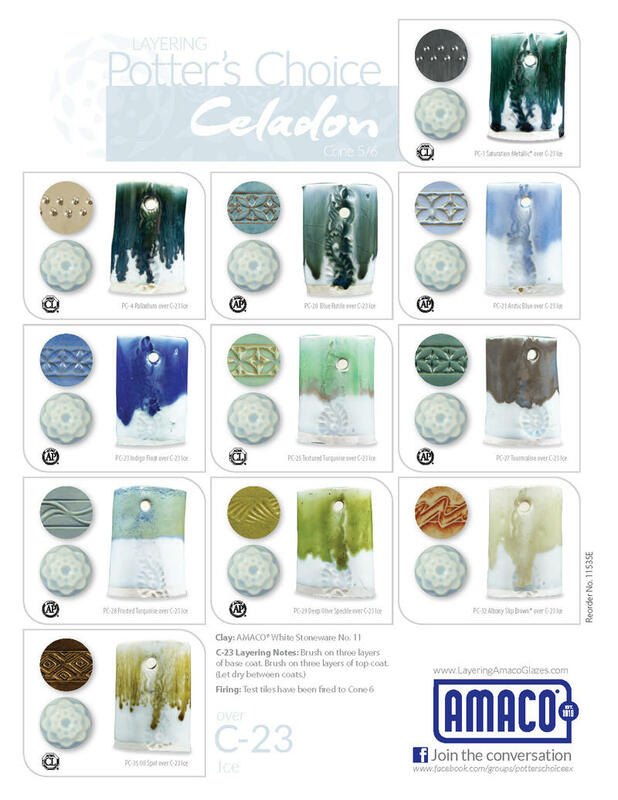 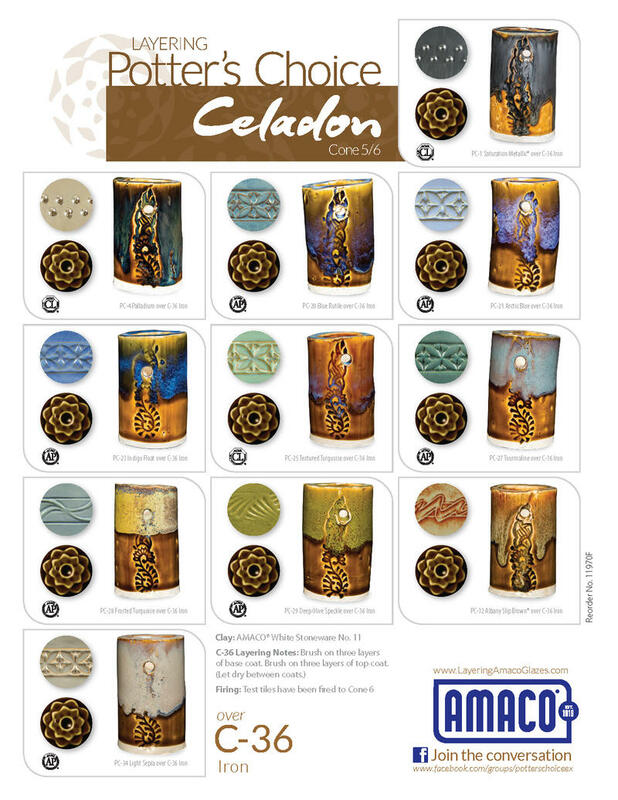 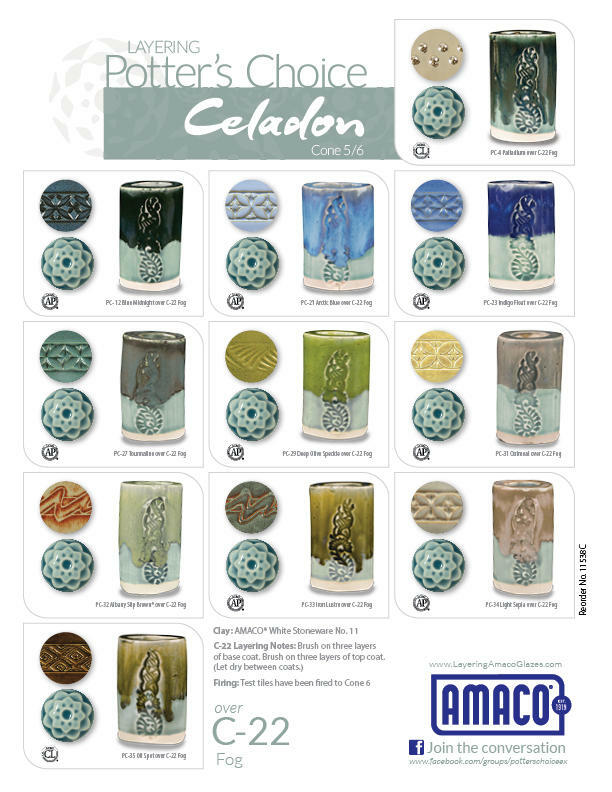 Here is a downloadable PDF of the Celadons Page from our Glaze Brochures! 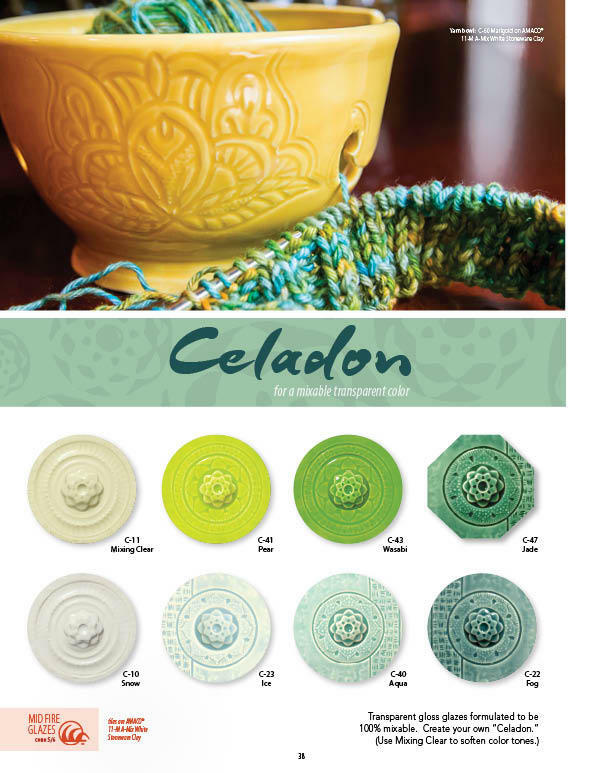 Layering Celadons Under Potter's Choice PDFs. 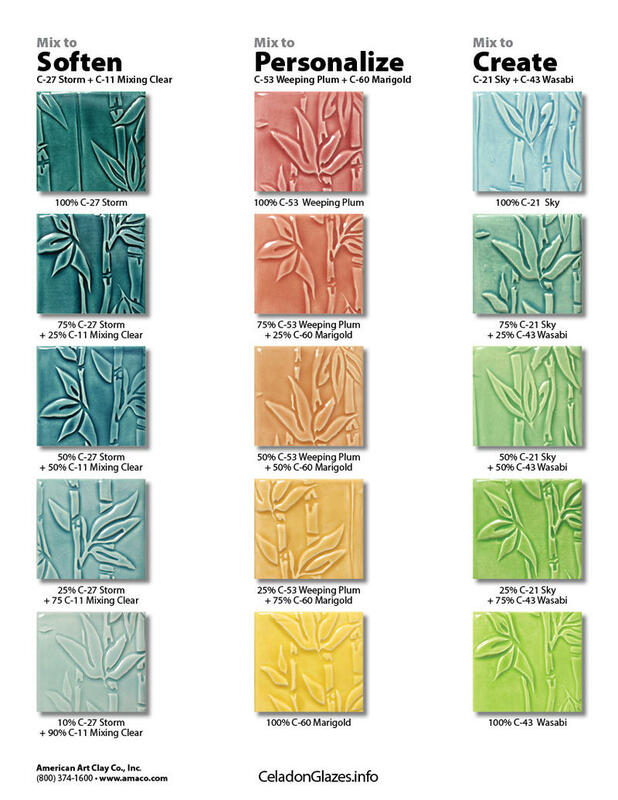 These tiles were glazed with 3 coats/ 3 coats of each glaze and were fired to cone 6 on our #11 A-mix midfire clay.